Mahindra & Mahindra is all set to invest 300-400 crore rupees to convert its best selling SUVs into electric vehicles. Both the Scorpio and the XUV500 will become electric vehicles in Mahindra’s latest plan to shift away from petrol and diesel powered cars. The Mumbai-headquartered automaker has even made an official announcement about the same. While the powertrain will be developed by Mahindra Electric, M&M would invest in product design and development. The immediate focus would be to invest in converting some of the existing products to electric vehicles. The investment in this area would be in the range of Rs 300-400 crore. The company would be identifying technology partners for EV related technologies. The electric versions of the Scorpio and XUV500 will be much more costlier though. The Scorpio Electric is expected to start from about 12 lakh rupees while the XUV500 could start from 15 lakh rupees. That’s a full 2.5 lakh rupees hike from current levels of the Scorpio (which starts at 9.47 lakhs), and a 2.8 lakh rupee increase on the XUV500 (currently starting from 12.2 lakhs). Notably, the electric variants are expected to be about 20-25 % pricier than their diesel engined siblings. The higher prices can be attributed mainly to the steep cost of Lithium Ion batteries, which power most EVs sold currently. 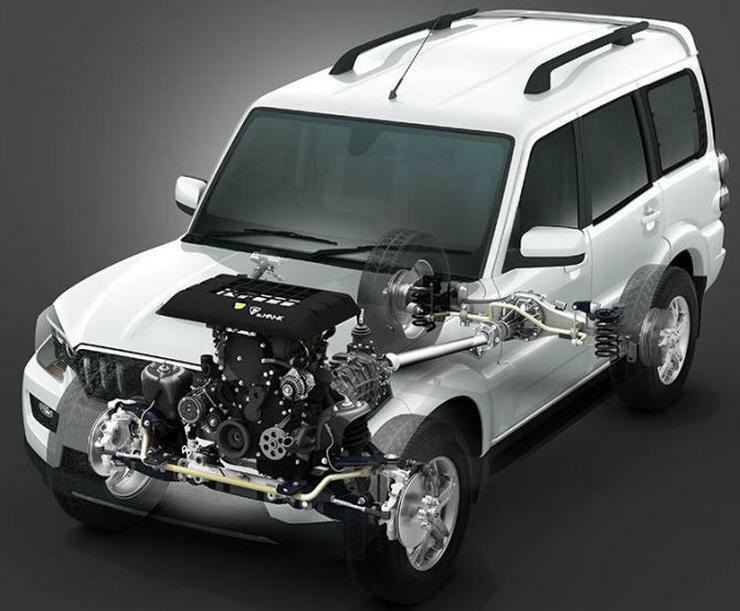 Also, the electric variants of the XUV and Scorpio could be heavier than the diesel versions. Other details including the launch timelines remain scarce for now. It’ll take at least 2-3 years for the electric variants of these SUVs to make it to Indian roads. A minimum range of 150-200 Kms is important for electric vehicles to find greater acceptance in India. Also, battery charging times need to come down to about 30 minutes (from 0-80 % charge). As more and more car makers hit the EV road, battery prices could come down due to economies of scale. Mahindra will be looking to the Government of India to subsidize some part of the vehicle’s cost. Already, electric vehicles attract the lowest GST, at 12 %. On the other hand, diesel powered SUVs are taxed at nearly 50 %. Both new EVs from Mahindra are expected to get major technological inputs from Mahindra Electric (the automaker’s EV division formerly known as Reva Electric) and Pininfarina – the Italian design house that the automaker recently acquired.